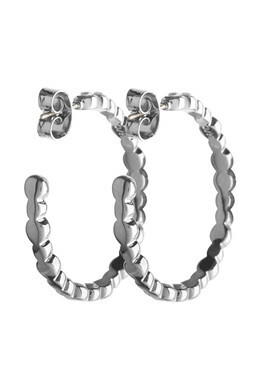 These gorgeous earrings shows a new way of thinking when it comes to hoop earrings. Shown here in a shiny silver toned finish with a row of sparkling white Swarovski crystals. The Nandita-earrings are a smaller version of the Nalani-earrings. Studded and with a butterfly closure.